"Exo Zombies Infection introduces an expanded map for players to discover. New weapons and traps are at your disposal, and you'll certainly need them against dangerous new enemies like the Goliath and Acid Dripper. Also included is the Civilian Extraction Mode, where you will need to help fellow survivors escape the growing horde." According to the announcement, there will be 4 brand new multiplayer maps, Perplex, Climate and Chop Shop are all small to medium sized maps with opportunities for fast paced close quarters combat, while Site 244 is larger, a "three-lane map allows for any style of gameplay, focusing combat through the space ship’s fuselage and around the debris-littered landscape. Use the map-based scorestreak to crack open an alien spore and instantly enhance your perks and exoskeleton abilities." The new weapon added to the game is the OHM and the custom variant, OHM Werewolf, a "versatile directed energy hybrid weapon" that can be used as a shotgun as well as a LMG. This weapon is available now for Season Pass holders. The new playlist in this DLC is called Exo Grapple, and will let players use the Grapple ability from the campaign to move quickly to vantage points or even use it as a weapon. All Ascendance multiplayer maps are featured in this playlist. No gameplay from Ascendance has been revealed yet, the gameplay trailer will be shown for the first time at this year's Call of Duty Championships on March 29th. 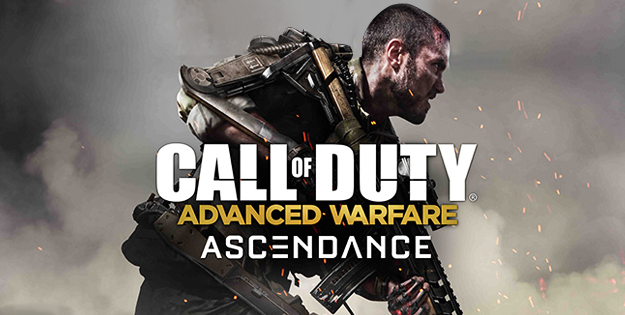 Ascendance is a part of the Advanced Warfare DLC pass and can also be purchased separately for $15.